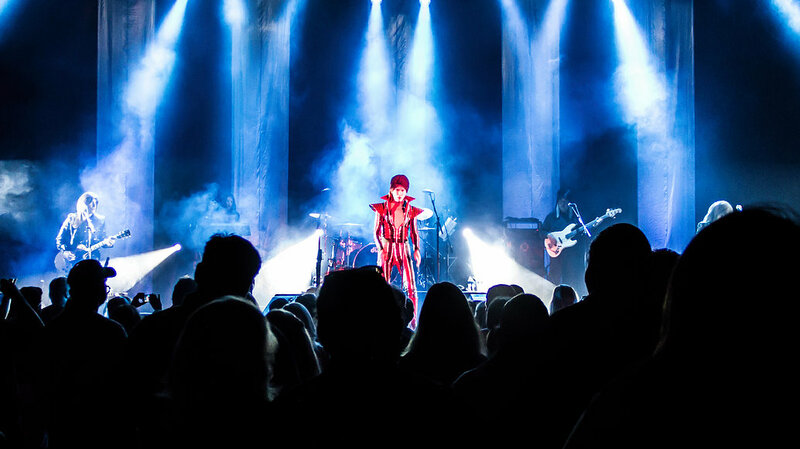 Space Oddity - The Ultimate Bowie Tribute! 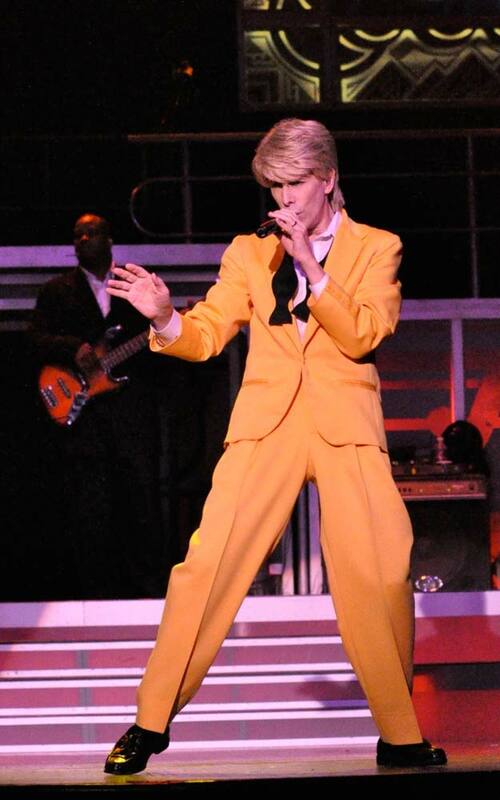 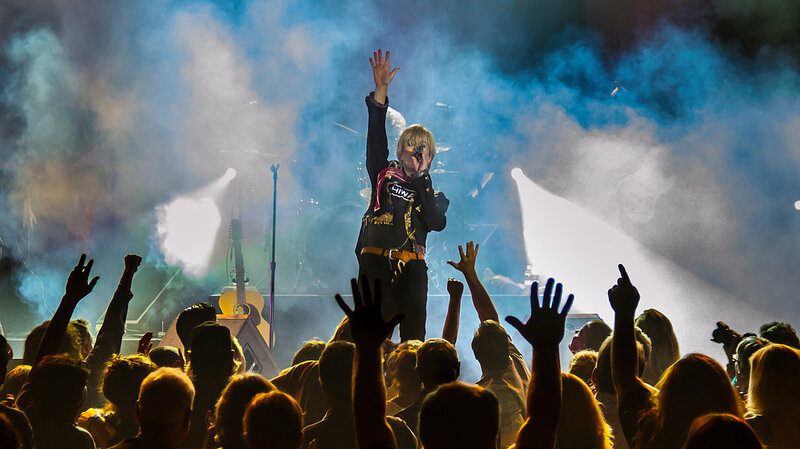 Space Oddity – The Ultimate David Bowie Experience is an uncanny recreation of the music and the magic of one of popular music's most influential and innovative superstars. 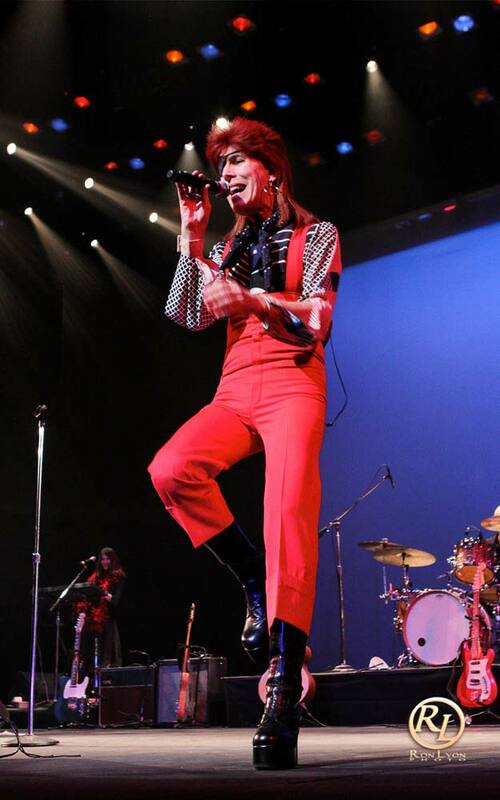 Together with the considerable talents of an amazing backup band, Brighton recreates the greatest moments of Bowie's constantly metamorphosing career - a career that has bridged more than four decades, and helped shape an entire generation of stars that would follow. 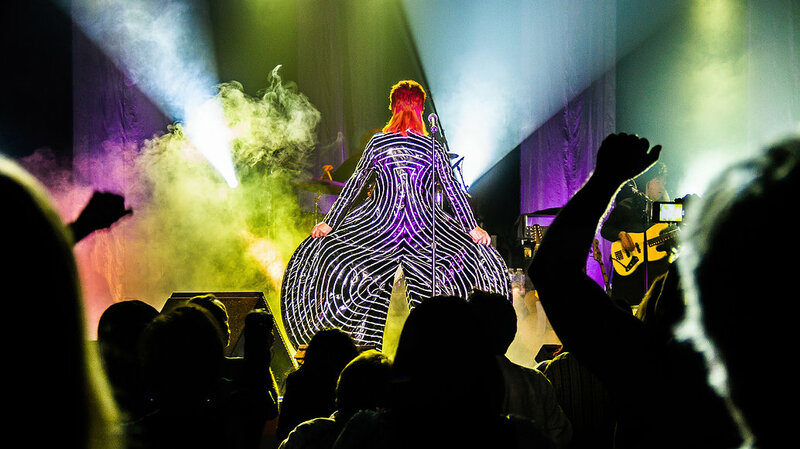 Whether they launch into show stopping versions of dance floor mega-hits like Fame, Young Americans, Let's Dance and China Girl - or deliver spine tingling renditions of glitter rock anthems like Changes and Rebel Rebel ... Brighton and the Space Oddity Band transport today's audiences through some of the most exciting moments in the history of Rock and Roll. 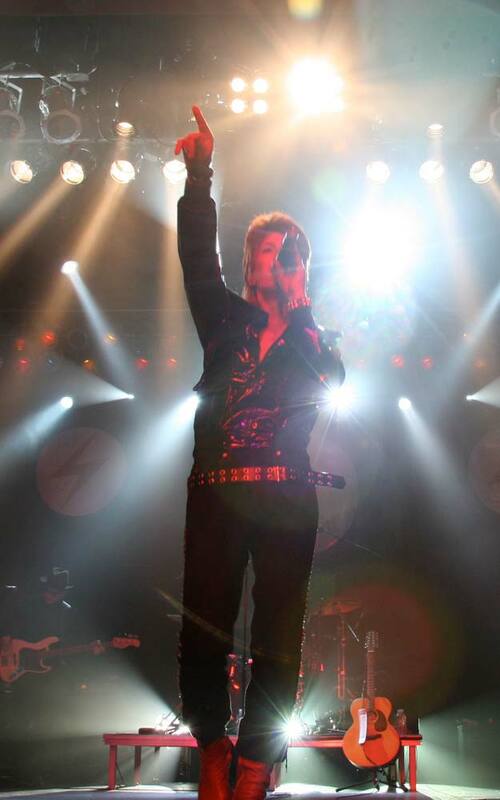 In the midst of all of the fun, one thing becomes very clear... David Bowie brought excitement and adventure back to the entertainment world in the '70's, '80's and '90's and beyond. 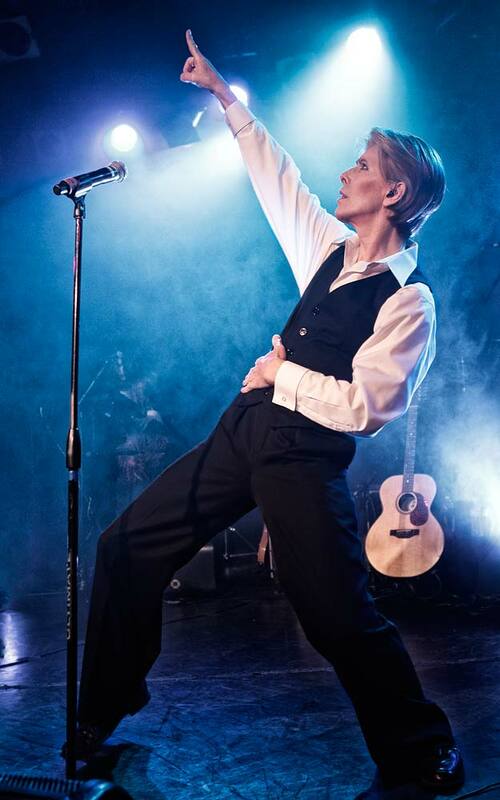 Experience Bowie's miraculous transformation from space-aged rock idol, to polished mainstream media star... and the timeless classics that forever changed the face of pop culture with David Brighton's salute to the most electrifying performer of our time.